Good luck surviving the night. The Diet of Free-Ranging Dogs: Free-ranging dogs exist in numerous countries around the world, including Mexico, Italy, Nepal, Japan, many African countries, and India. They survive almost entirely by scavenging and occasionally augment their diet by begging and hunting small animals. In India, the history of free-ranging dogs is well-documented, extending back to the 9th century BC and representing more than 1000 generations of dogs. Indian free-ranging dogs consume a diet that is rich in carbohydrate (biscuits, bread, rice) and relatively low in protein. The protein that is consumed is in the form of scraps of meat or fish adhering to bones, decomposing meat, and the remains of carcasses. Domestic dogs are better adapted to scavenging and a diet that is higher in carbohydrate foods than were their wolf-like ancestors because of changes in foraging behavior (increased scavenging/decreased pack hunting) and enhanced ability to digest starch (increased copies of the gene AMY2B, the gene that codes for pancreatic amylase). However, just because dogs can consume and digest diets that contain a high proportion of carbohydrate (starches), it does not necessarily follow that they prefer such diets or that it is the healthiest or best way to feed them. Do free-ranging dogs show a preference for meat? In the first study, the researchers offered 30 free-ranging dogs a variety of food choices in four separate experiments. In the first, dogs chose between bread, bread soaked in water, and bread soaked in chicken broth. They selected between bread, bread soaked in gravy, and cooked chicken in the second experiment. The third offered the dogs choices between dry dog kibble or bread soaked in varying concentrations of chicken broth. The final experiment offered the dogs varying combinations of bread and dog food kibble, soaked with different concentrations of chicken broth. 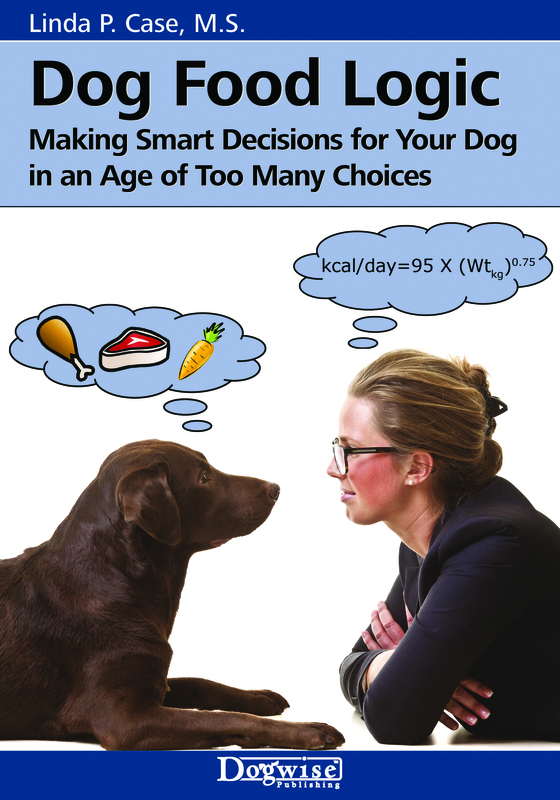 The purpose of this final set of choices was to separate the factors of meat smell from nutrient (protein) content, because dogs have been previously shown to be capable of self-selecting a diet according to its macronutrient (protein/fat/carbohydrate) content (3,4 [more about these studies soon]). Smell beats all: When the dogs were offered kibble (high protein food) or bread (low protein food) soaked with varying concentrations of chicken broth, they consumed all of the foods equally, showing no absolute preference in terms of the quantity that was consumed. However, the order of selection depended completely upon how much chicken broth was soaking the food, regardless of its nutrient content. In other words, the dogs chose according to smell, not in accordance with the actual amount of meat protein present in the food. Bhadra A and Bhadra A. Preference for meat is not innate in dogs. Journal of Ethology 2014; 32:15-22. 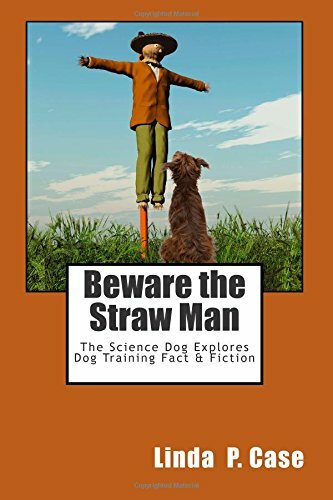 If you enjoy reading The Science Dog, take a peak at Linda Cases’ newest book, “Dog Smart: Evidence-based Training with The Science Dog“! Thanks for another great piece of research on research. I wonder if the pups non-preference simply results from their olfactory system not yet completely developed? I really enjoyed reading about this study, especially the section on puppies and their preferences (or lack thereof). Thank you for sharing this. Hi Jody – Thanks for your note and you are very welcome! I have a couple of observations to make. Firstly these dogs are street dogs. What else will they eat but what they scavenge? If you studied modern day wolves in the wild or African wild dog packs you’d get a totally different result. If you put a pack of feral dogs (Canis lupus familiaris) in a remote location and some survived, they would do so on whatever was available. As the study makes clear these dogs will hunt but scavenging from human waste is easier. The available waste food is not high in protein because we value it more highly and don’t throw it away lightly, so again they are eating what we leave them – waste carbohydrates such as bread and rice which are more abundant. The dog food companies are well aware of the scent issue – this is what digest was invented for, to make largely vegetable protein and carbohydrate smell like more expensive meat. It is applied to dry dog food post-extrusion to make a kind of meaty cheerio out of waste and by-products from human food production. If we follow the suggested logic then we could now argue that humans in the developed western parts of the world are evolved to eat the high carb and high sugar diets that are so bad for us. It’s what’s available in abundance and we choose it by preference because of some basic biological imperatives that drive us to consume high calorie food whilst it is available to store it up for times when food is scarce even though we (the lucky ones) are now living in a world where the chance of famine is vanishingly small. What we eat and what we are in a fundamentally biological way designed to thrive on are two very different things. Just like us dogs no longer control what they eat – something they gave up for the convenience of not having to hunt or find their own food – just as humans are centralising and industrialising their food production and supply. Whether these environmental levers on both species (us and the dogs we keep) prove beneficial in the long term and bring health and success at a species level has yet to be seen (both for dogs and humans) but all the signs are that declining health and wellbeing are more likely. Sadly I think the dog may have put its faith in the wrong species when it comes to making good food choices. It might be true that puppies learn their meat smell preference from their mother. But as far as I can tell, this study doesn’t support that. Sure they aren’t born with it. But it might be innate in another sense: it’s a timed developmental stage, ie it’s turned on at a certain point in their development automatically or in response to certain environmental stimuli, rather than learned. I have often said it was what tamed her. And it remains her highest value food to this day. When my 8 week old puppy had her leg broken in a dog attack, her pain level was so high she had no appetite! Except for.. Mac and cheese. So I ended up mixing some of that into her kibble to get her to keep something down (pain reduced significantly and appetite improved after ortho surgery to stabilize break in humerus) To this day Zia’s favorite food is mac and cheese. I’ve always wondered whether dog food manufacturers aimed product scents at attracting the dogs or the people feeding the dogs. Another topic I’d love for you to take up some time: TASTE. Since dogs’ olfactory capabilities are exponentially stronger than ours, does that mean that their sense of taste is similarly enhanced? The street and owned, free-ranging dogs in Maun, Botswana also raid garbage for an omnivorous diet, but you should see them when they get their teeth into a road-killed donkey – there is no question that they like raw, bloody meat.